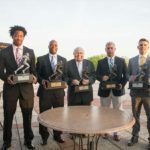 WASHINGTON, D.C. – Military Bowl officials announced Tuesday that Maryland has sold out its ticket allotment and East Carolina has just 500 tickets remaining heading into bowl week. Both teams were given 10,000 tickets to sell to their respective fan bases. The excitement is building as both teams prepare to play in the Military Bowl presented by Northrop Grumman on December 29 at RFK Stadium in Washington, D.C. Kickoff is 2:30 p.m. ET (ESPN). 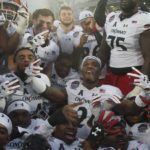 In addition to fan support, local residents have shown their true holiday spirit through MilitaryBowl.org, the bowl’s official site. Since November, the site has raised more than $20,000 in donations toward the purchase of bowl game tickets for military members and their families. A sizable portion of this donation has come from Northrop Grumman employees. Donations are still being accepted. Fans can also enjoy a full lineup of bowl week activities. Festivities begin with the Military Bowl Battle of the Bands presented by Marriott on Freedom Plaza from 7 p.m. to 7:30 p.m. on December 27, and continue with the Military Bowl Official Tailgate Party at the DC Armory on game day from 10:30 a.m. to 2:30 p.m., before culminating with The After Party at the DC Armory from 5:30 p.m. to 10 p.m. after the game. 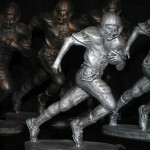 Tickets to all events can be purchased at Ticketmaster.com, all Ticketmaster locations or by calling 800-551-SEAT. Tickets also can be purchased or picked up at the RFK Stadium box office December 27 – 29 or at the DC Armory Will Call trailer on December 29 (Armory events only). Group orders can be purchased by calling (202) 785-BOWL (2695). 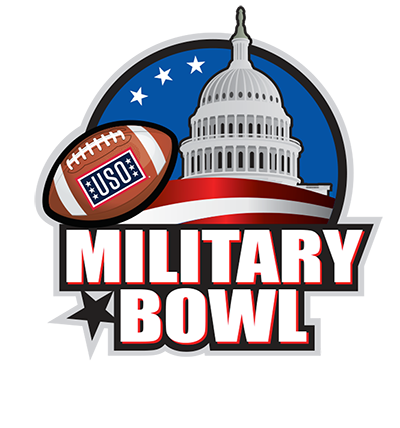 Additional information on the Military Bowl and bowl week events can be found at www.MilitaryBowl.org or by calling (202) 785-BOWL.